Shipping is twice per week, from the Netherlands. Orders are being processed on working days, Monday and Thursday. A low cost option is shipping with regular priority mail, without tracking options. Costs will be shown before checkout. Orders above 60 dollar (or euro) get free shipping. Expect 1 week delivery for Europe, 2 weeks for USA/Canada, 3-4 weeks world-wide. A faster option is shipping with DHL mail, after shipping you will get an email with the tracing code. Costs will be shown before checkout. This option is not for free shipping, but it’s a fixed price independent of the amount of products you order. Expect 3-5 working days for Europe, 7-9 working days for USA/Canada, 3 weeks world-wide. Please select the currency you will pay in (at the bottom of the page). The store uses a 1:1 rate. Do I pay in Euro or in US dollar? This depends on the way you pay, for example PayPal allows to pay both in Euro as USD. With a bank transfer you will always have to pay in Euro. You can add products in your cart without an account, but for ordering it is required to have a Blender ID account. On checking out you can create one, or login using your Blender ID. After you have completed your order by placing items in your shopping cart, proceed to the checkout area. In the checkout area, you can complete the Shipping and Billing information. A confirmation of your order will be e-mailed to you. 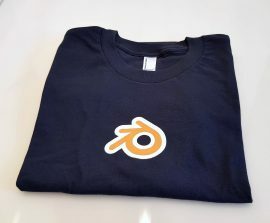 If you have any e-shop related questions, drop us a line at shop@blender.org. In case your matter deals with an order you have already placed, please always quote your order number. How do I know if something is in stock or not? All products in our shop are in stock, or have a clear notice that it’s a pre-order. Of course, it is entirely possible that an item will become unavailable between the time you are ordering it and when it is shipped. We will let you know if that is the case and will wait until the full order is available before we ship to you. Can I place an order by phone/fax? We do not accept orders over the phone/fax. We only sell via this website. We accept credit cards and PayPal. Pay by bank transfer also is possible. In the latter case it can take 3-5 working days before we mark your order paid. Is it safe to order from your store? We don’t keep information on credit cards in our database. 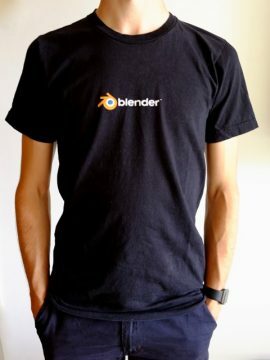 Personal information, such as email address or shipping address, is kept in a secure database, and isn’t accessible for anyone outside the Blender Foundation. We don’t use your information for any other purpose than for handling the orders correctly. No information you provide is every shared with third parties. Prices are the same world-wide. For EU orders the invoice includes tax (VAT). You pay taxes only if you live in a country that is a member of the European Union. Books and clothing have a 6% tax and all other products have a 21% tax. If you live outside the EU, your purchases are tax free. Can I have a separate billing and shipping address? Yes. When you have completed your order and have reached the check out area, you will see an option ‘Change Delivery Address’. By clicking this, you are able to enter up to five different delivery addresses. Note that the invoice is not shipped separately. 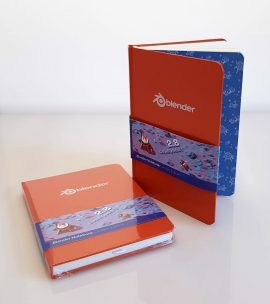 Send us a note at shop@blender.org and let us know of your situation and what you are interested in. We will happily support your efforts. We want you to be happy, so we stand behind our products and recognize that sometimes you don’t receive what you expect. If we shipped the wrong product, or it arrived defective, no problem, contact us at shop@blender.org to arrange for the return/replacement of your purchase. Be sure to include a brief description of the problem. Did you change your mind? We will fully refund you, provided that purchases are received back in their original packaging, along with all accessories and provided your purchase is in “as-new” condition. Please note that you will be responsible for return shipping costs of non-defective merchandise. All returns must be received back by us within 60 days of your original purchase shipping date (You can find the original shipping date in ‘ my account’ and ‘History’. It was also e-mailed to you). All orders are shipped within five working days, so it is possible that we will be able to cancel the order prior to shipping. 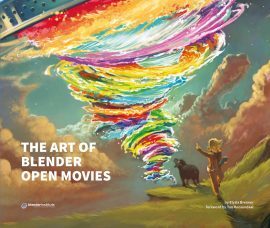 If you want to cancel your order e-mail shop@blender.org and we will try to accommodate the cancellation.